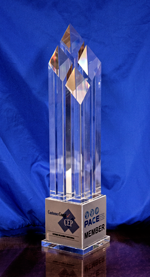 Thank you for your interest in nominating a Customer Engagement Professional for the CustomerCount CEPTM Award. This award recognizes outstanding performance during the 2017 calendar year as well as the company with which the CEP is employed. One award - two trophies! Eligibility Requirements and Nomination Guidelines may be accessed here.